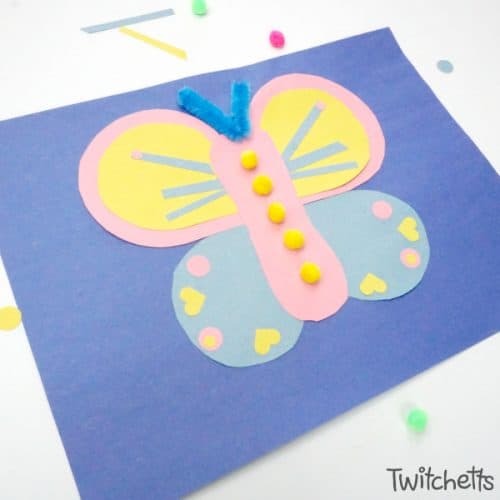 Your kids can create this easy paper butterfly when you set up an invitation to create. 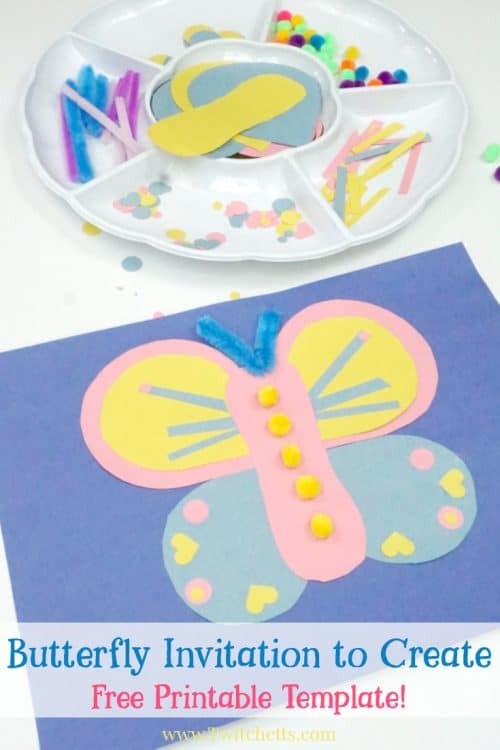 All it takes is some construction paper and a few other simple supplies and your kids will be ready to make their one of a kind butterfly craft. It never fails… I always have lots of random craft supplies left over from other projects. These supplies end up lying around the house in little piles. This is a great way to use some of them up! 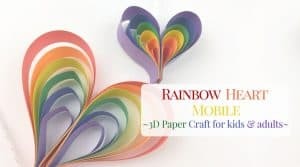 Whether you have leftover pom-poms or little jewels, these paper butterflies are a great way for your little one to make something beautiful! Embelishments. 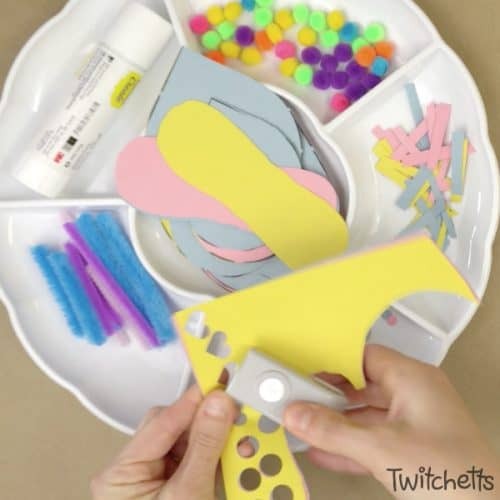 Pipecleaners, pom-poms, paper punched holes, etc. Tray to hold it all. 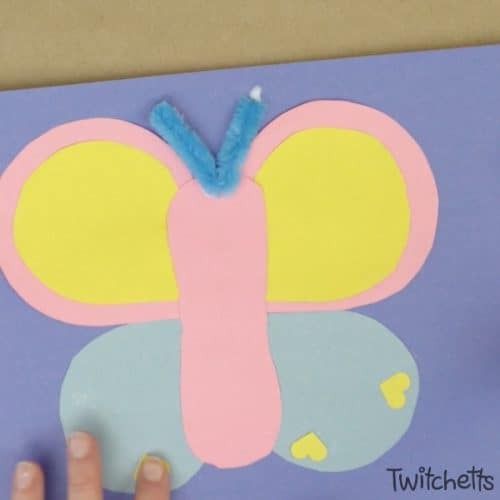 These are the step by step instructions for creating a paper butterfly with our template. Then watch the video below to see it all in action. Remember, this is an invitation to create, which means there really is no wrong way to construct this fun project. Print off the template on at least 2 different colored pieces of paper. Cut out all the shapes. Your kids can help with this or you can do it ahead of time. 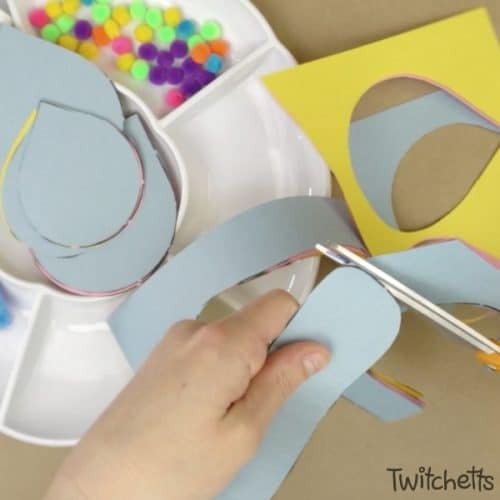 You can use the scraps to cut paper strips or punch holes. Place all of these pieces into a tray and place them on the table. 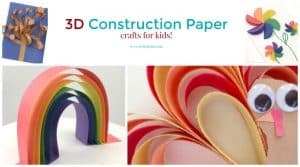 Give your child a solid sheet of paper for them to build on and some glue! Now let them create. They can mix and match the pieces of the butterfly and even stack them. 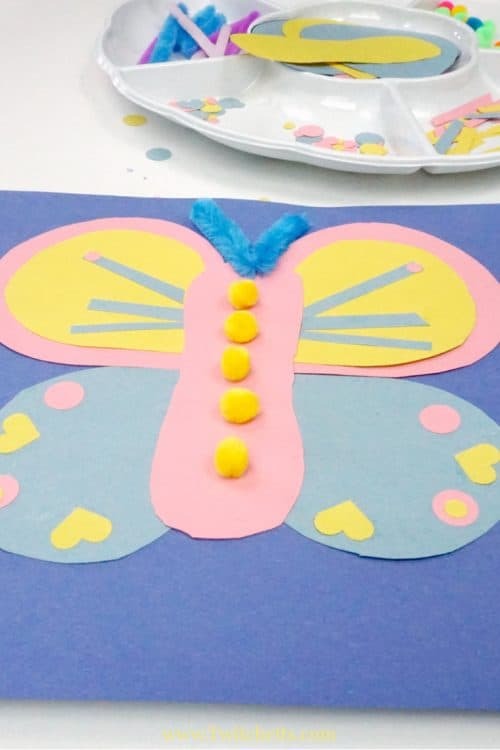 Decorate the wings and body. They can even decorate the background! See the full papercraft set up in the video below! 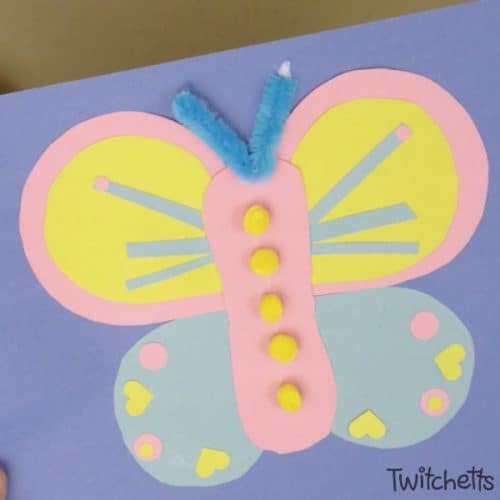 No two butterflies will be the same so they can create these construction paper butterflies over and over and find new ways to decorate each time. They will really enjoy the freedom that this invitation to play gives them. 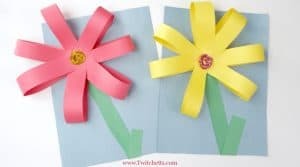 Pin this to your favorite kid’s crafts and activities board!